The University of Maryland (UMD) was pleased to host the sixth Maryland Mathematics and Science Institute (MMSI). This week-long summer continuing education course for PDS mathematics and science teachers serving grades 9–12 was co-hosted by the Department of Mathematics, theTerrapin Teachers program, and the College of Computer, Mathematical, and Natural Sciences. 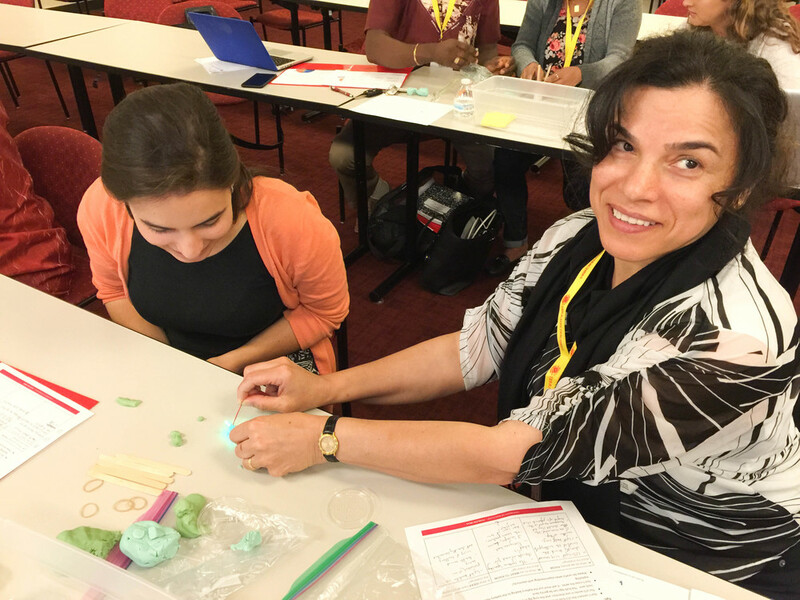 Participants engaged in authentic science and math learning through interactions with UMD researchers and hands-on activities grounded in NGSS and Common Core content standards and standards for practice. Dr. Sylvester James Gates Jr. delivered the keynote presentation. Dr. Gates is a Distinguished University Professor in the UMD Department of Physics and serves on the U.S. President’s Council of Advisors on Science and Technology.